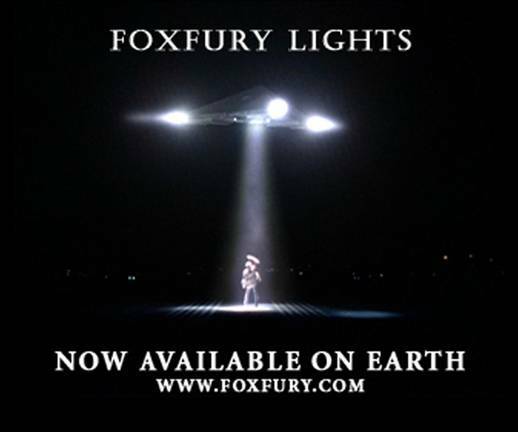 As some of you know, I make my living selling flashlights. 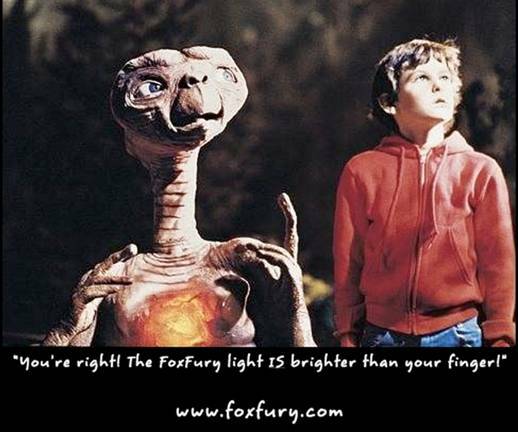 Not just any Flashlight, but the brightest and the best Flashlights. That being said I just wanted to share some Funnies a fan of Foxfury made. I thought they were real good, I know I could never be this creative. 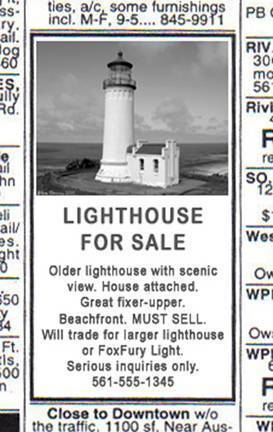 That's funny stuff right there, I don't care who you are. 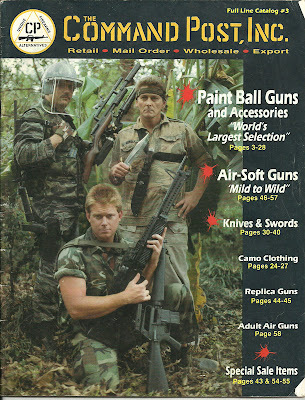 I have been involved in this Airsoft thing for a while. 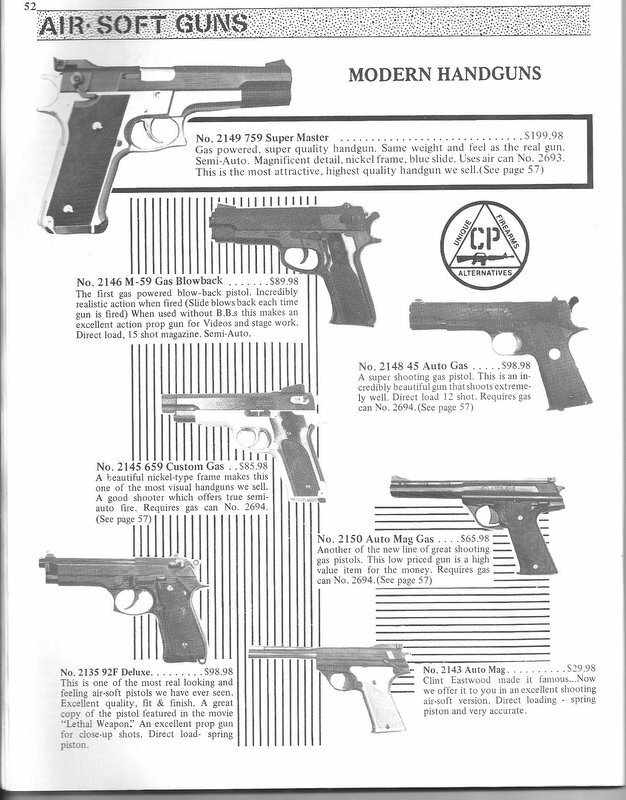 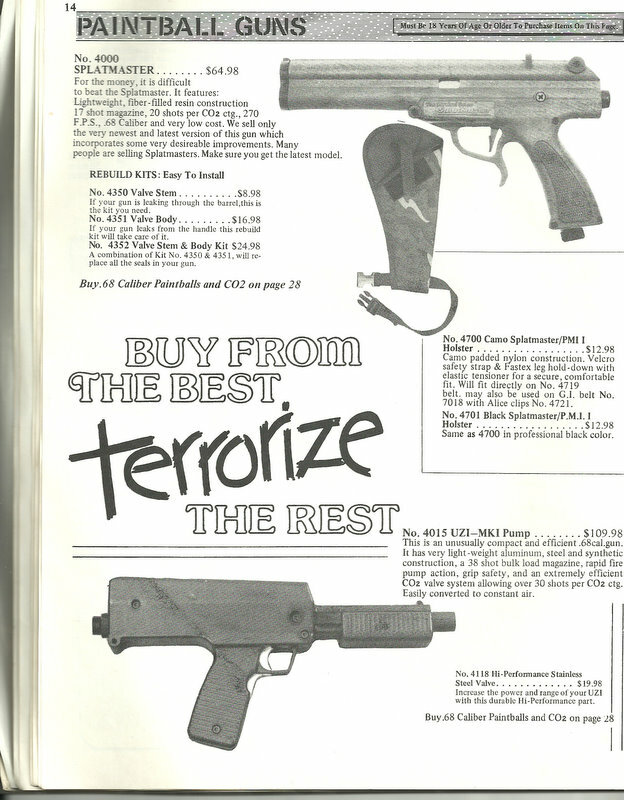 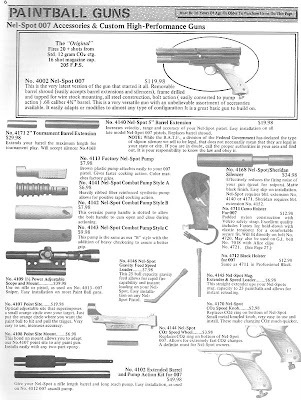 I just took the time to scan in the catalog I produced in 1987. When I say I produced, I mean I wrote the copy, did the layup and layout, everything but the pictures. 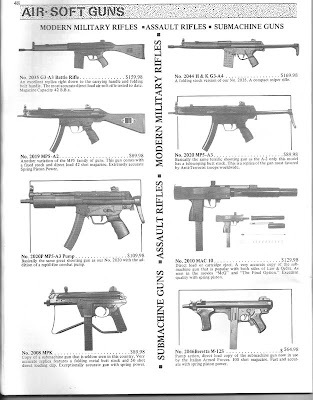 My ugly mug is even a model in most of the pictures. 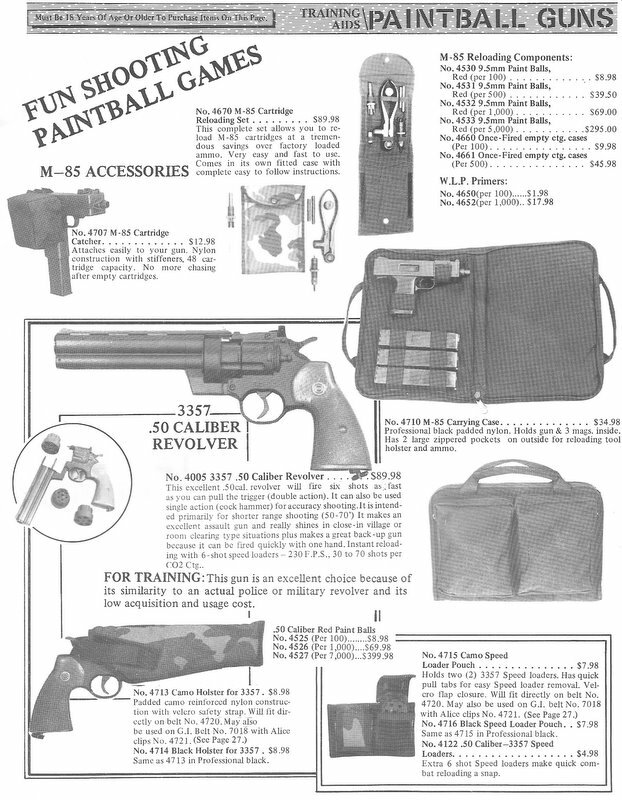 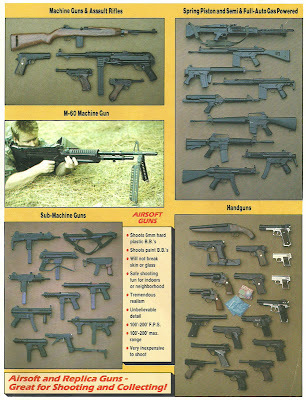 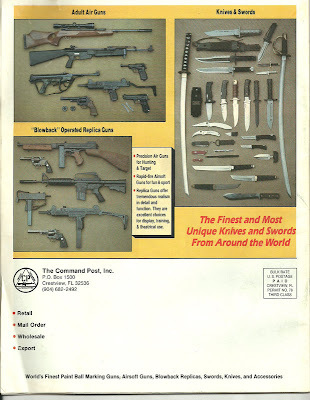 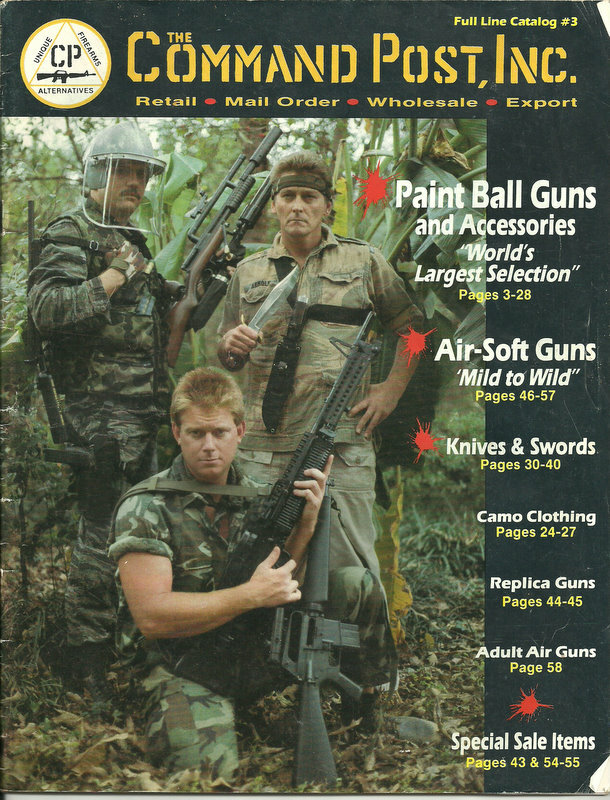 Command Post was the 1st airsoft/Paintball catalog in the United States. 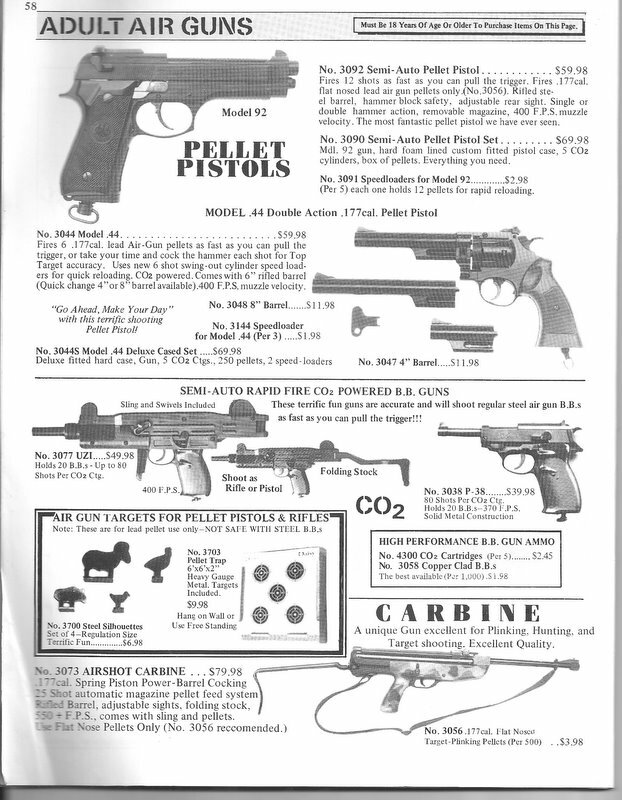 I had no background in copy-writing or printing. 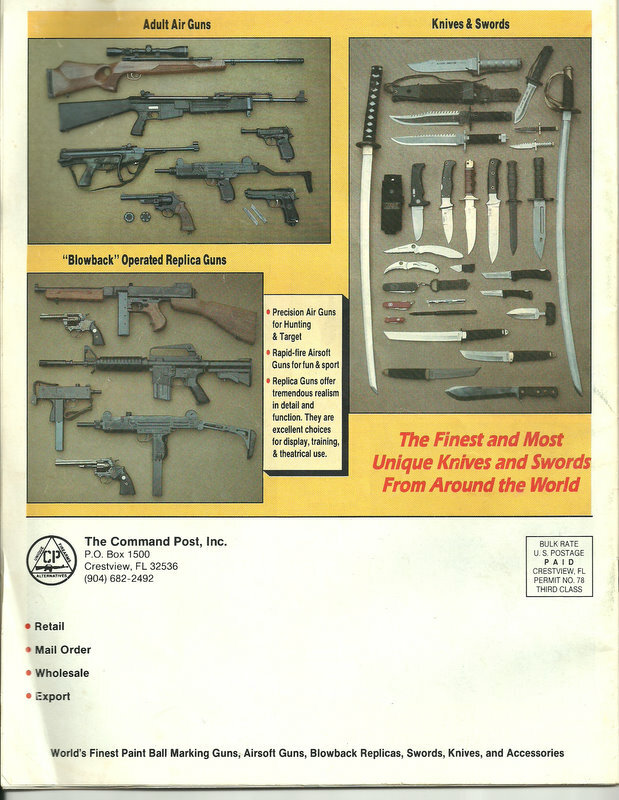 I managed to muddle though it though and I think we shipped out over 20,000 copies. 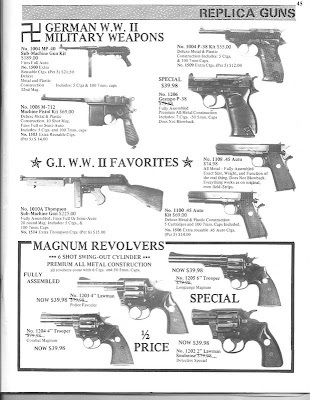 I came on in late 86, left in 88 and I think it lasted till about 1990. 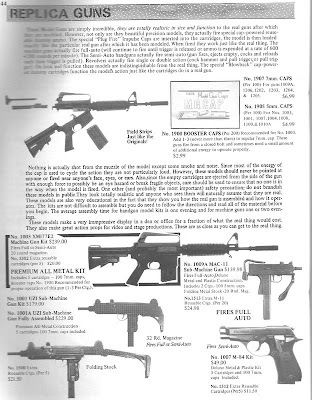 I worked with some great people there, met a lot of great customers in my travels to shill for the company and have some fond and not so fond memories of trying to convince people that we were not selling real guns! 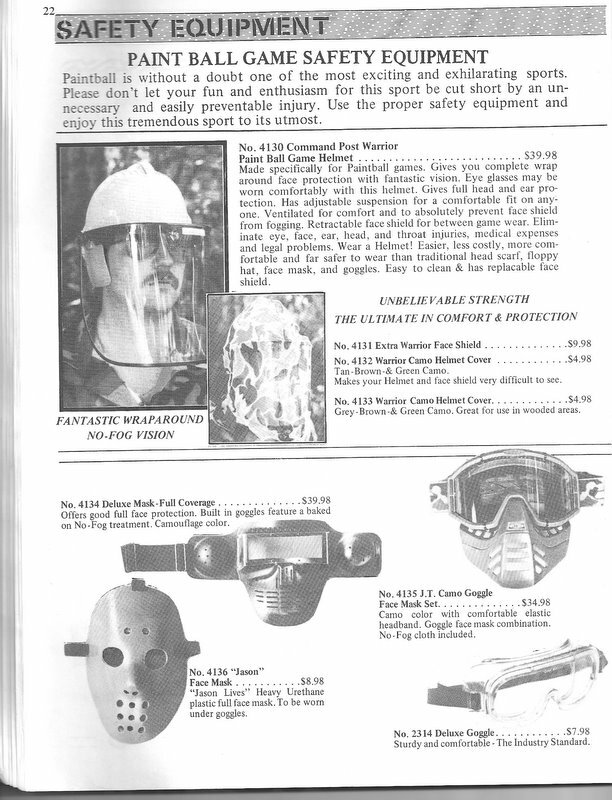 and my smirking mug would be on a full back-page ad trying to sell our ill fated paintball helmet. 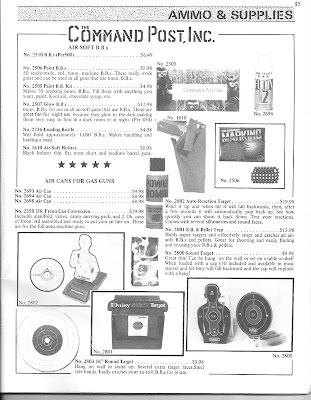 I have dropped out most of the paintball and other stuff, we sold Keith Idema Combat Systems vests and holsters ( look up Keith on Goggle, ya, it's the same guy), Al Mar knives, Cold steel knives and lots of other stuff. 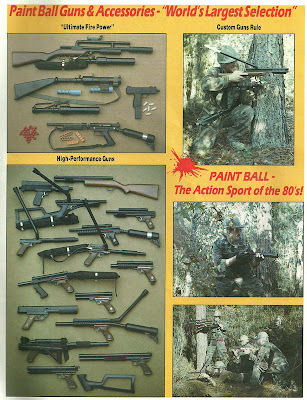 If anyone wants to see the full paintball stuff, let me know, I am just putting a sampling here. 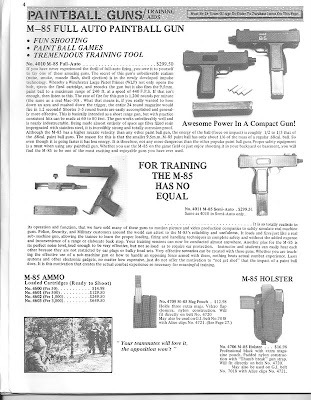 seems like ever other gun was the "best"
most people would just run away from it. 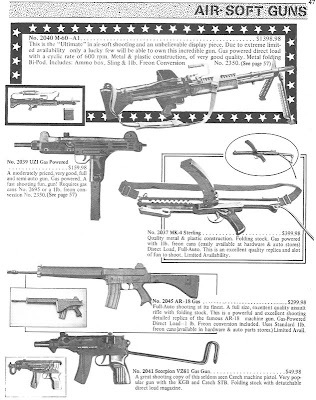 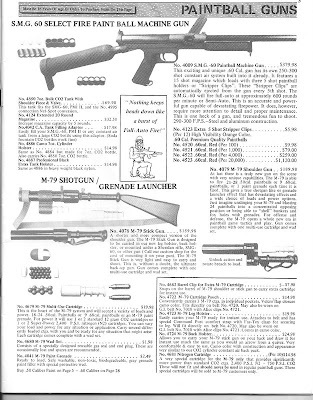 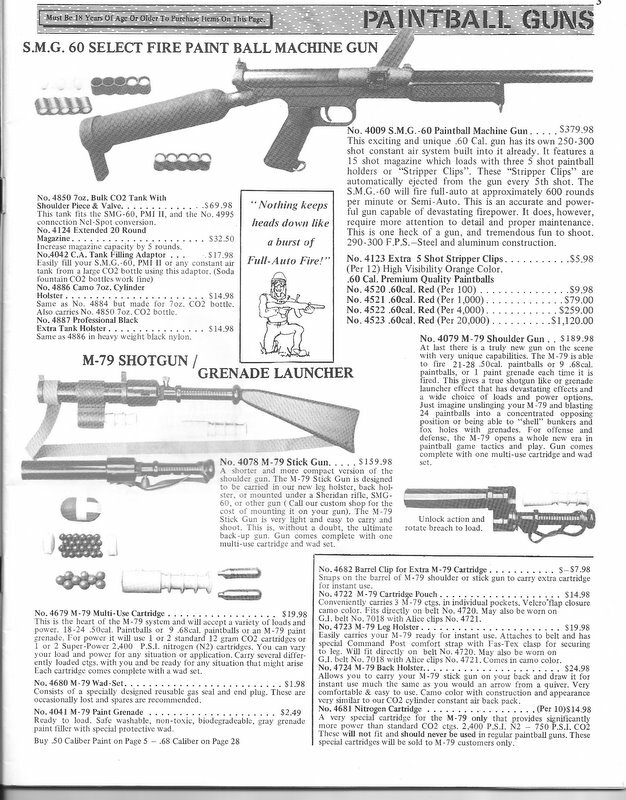 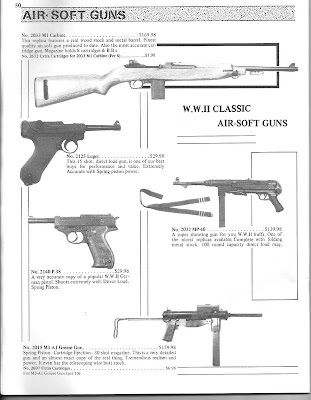 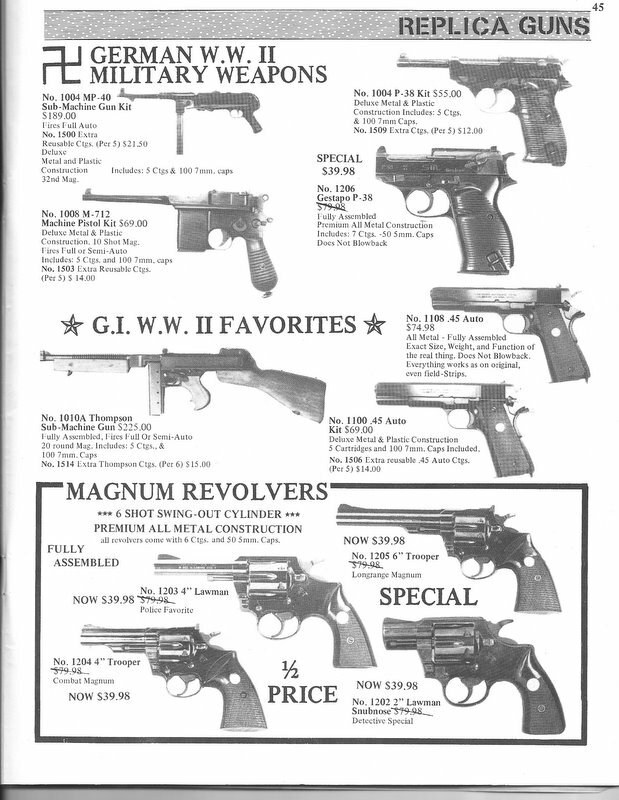 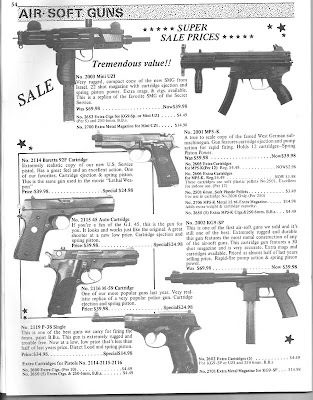 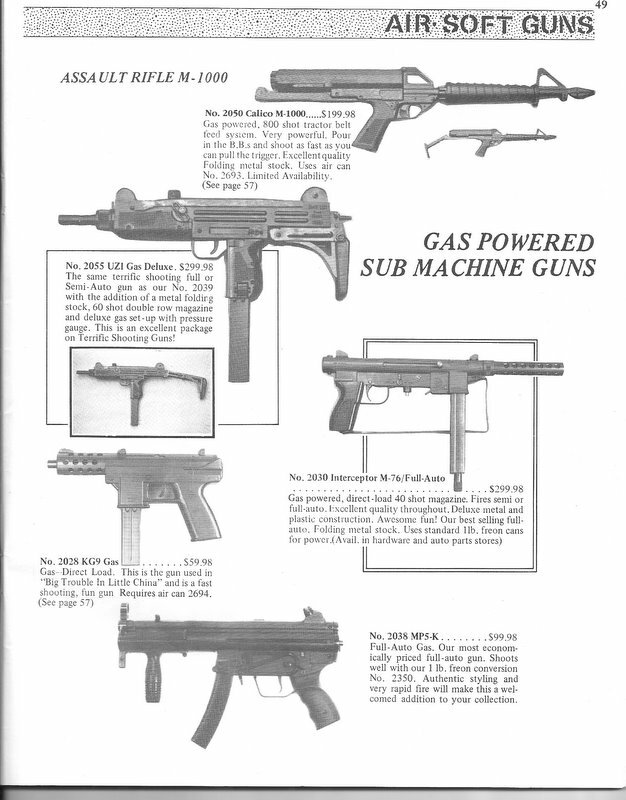 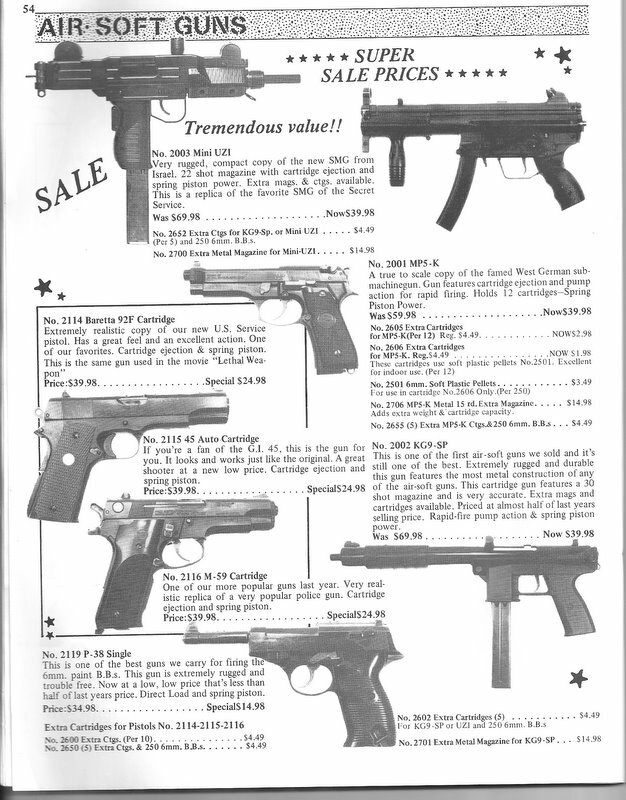 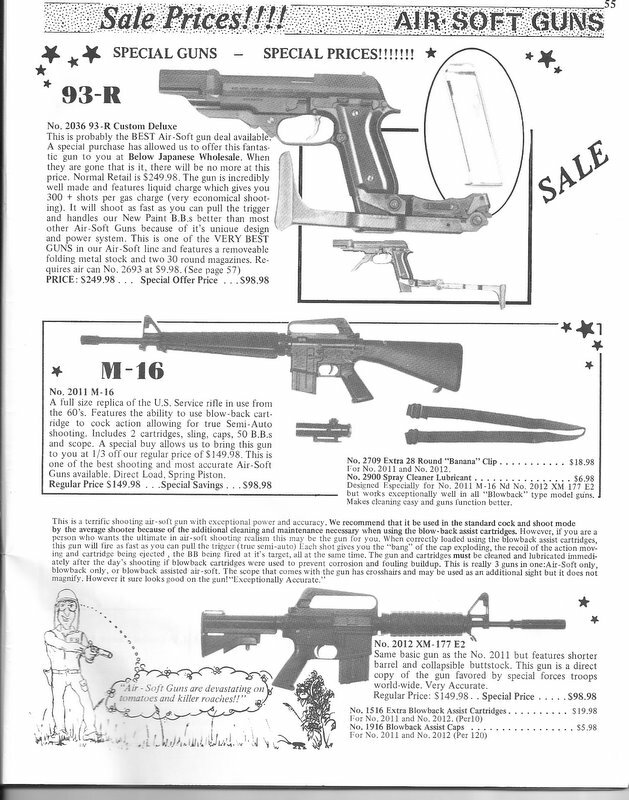 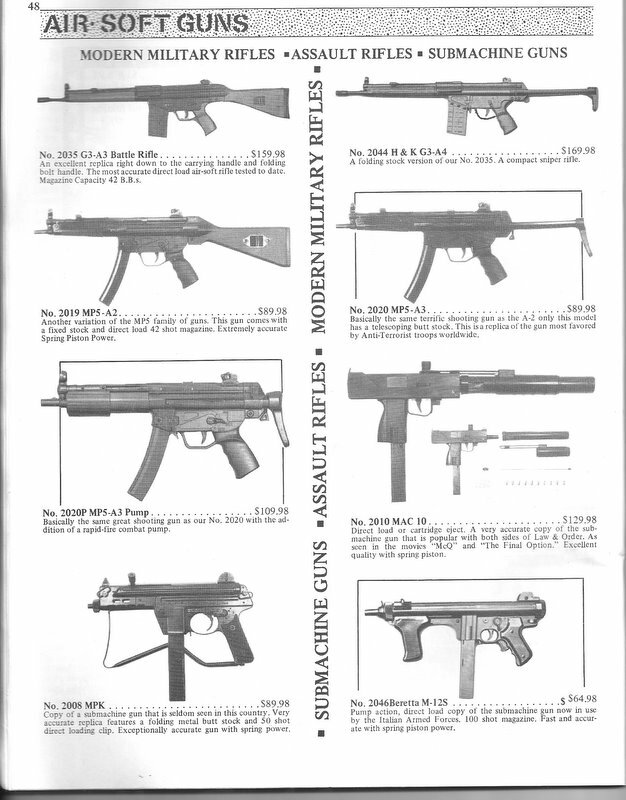 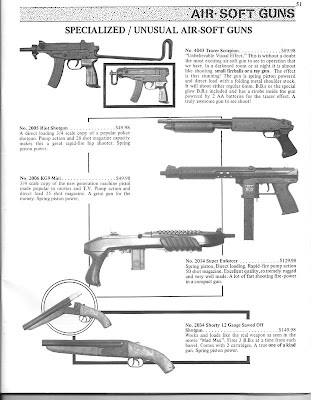 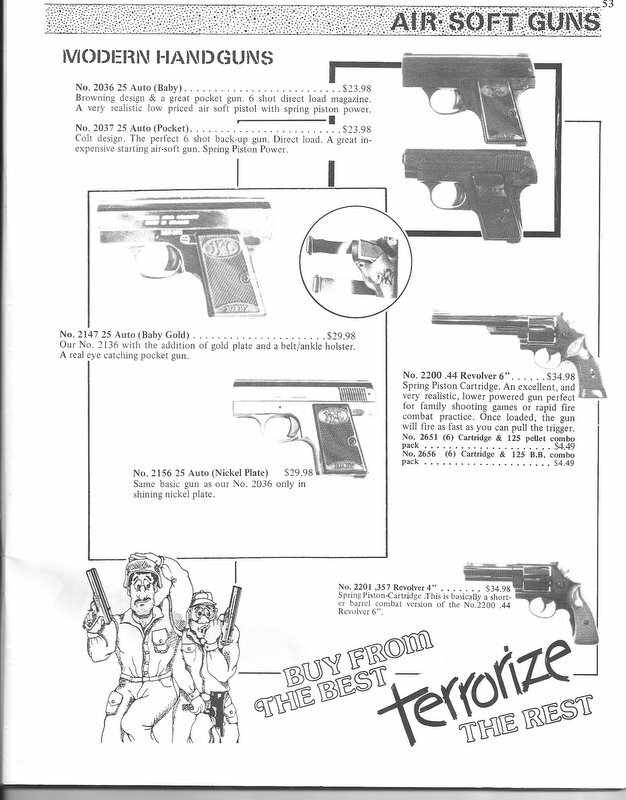 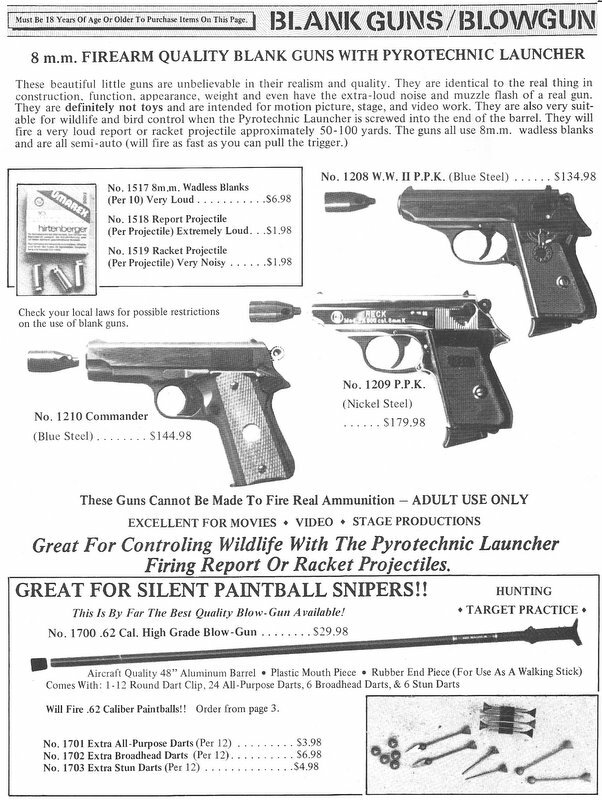 and we were the US distributor of the Model 85, they were fun little toys. 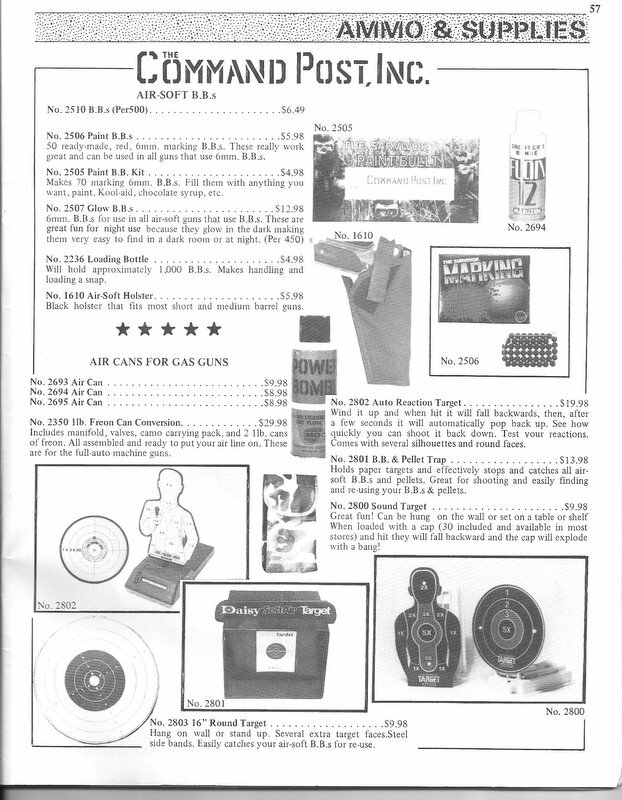 We spent a lot of time developing a reloading kit to get the cost of the ammo down. 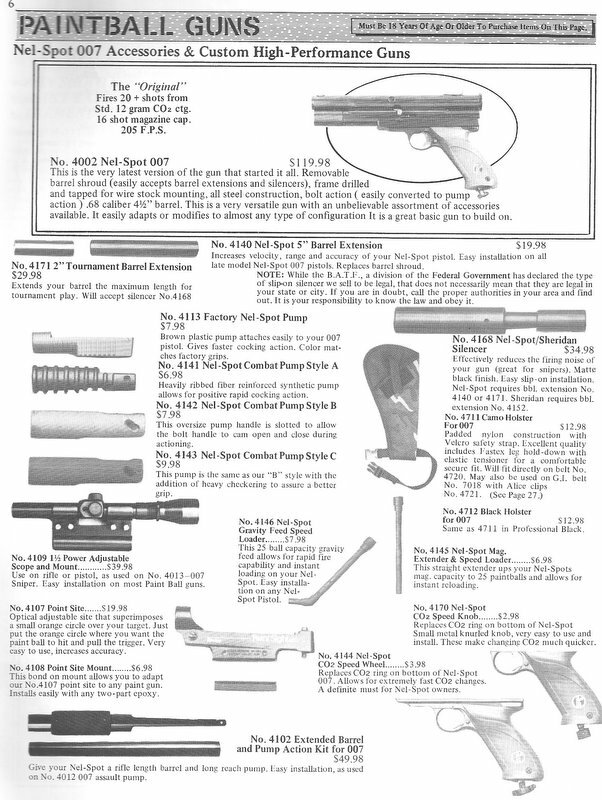 The Nelspot, the gun that started it all. You can see we didn't know squat about eye safety, no Dr Airsoft around then, but we did have a inkling and tried to sell the helmet. 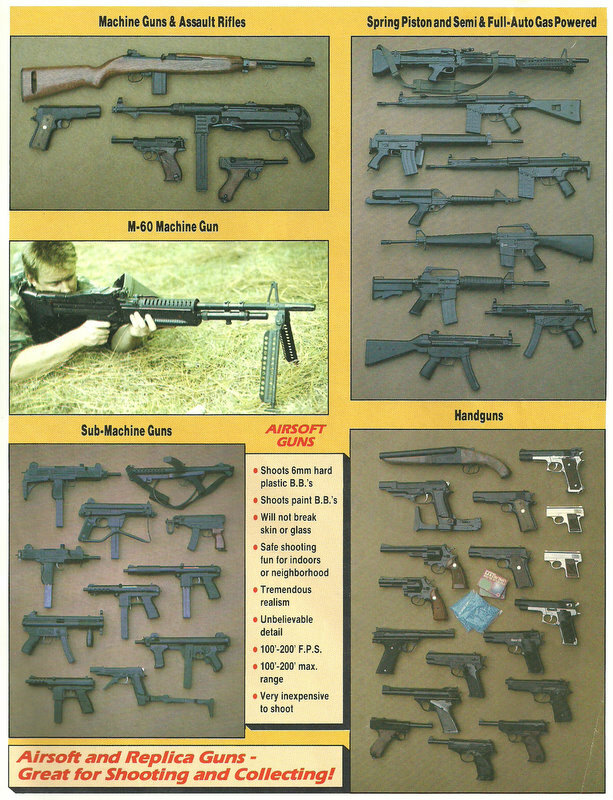 we built them by hand in Crestview, I spent many long hours cutting and fitting, in the end, no one gave a crap about being safe then. 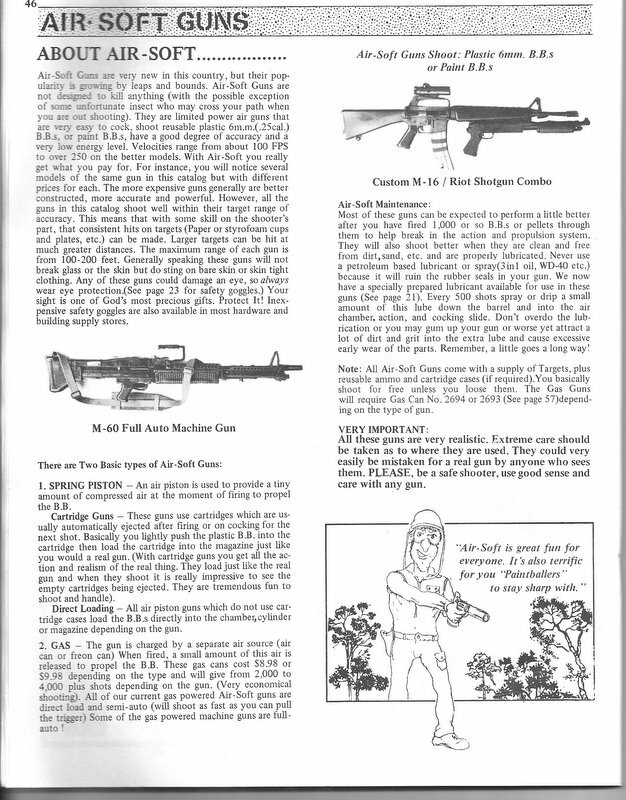 My introduction of airsoft to the US, I spent many hours writers blocked on this page! 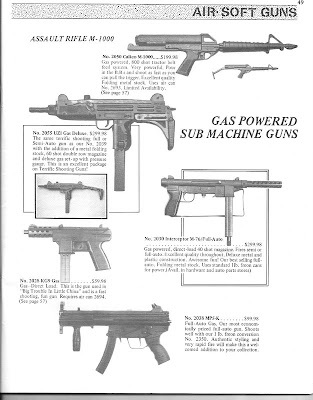 Yes you read right, we offered a conversion kit so that you could power any of the direct air guns with Freon. 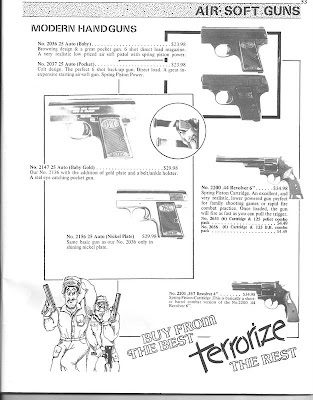 Freon, yes. 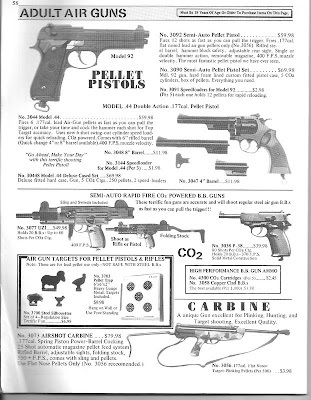 Back then we had no clue, I didn't even know who Al Gore was! 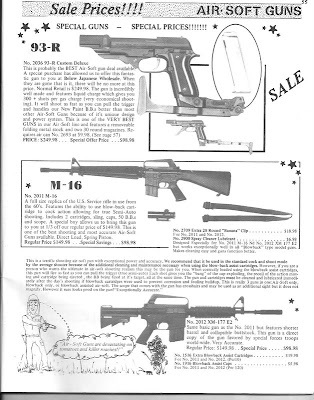 It worked great though and you could buy the stuff for 1.99 a can at the Kmart. Spring Tokyo Marui's, ever seen the mac or the M12 before? 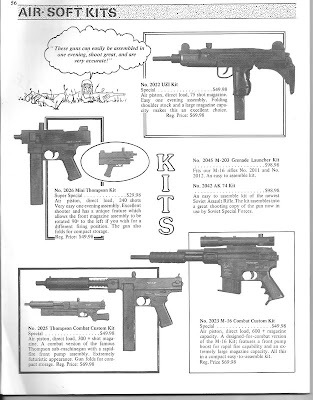 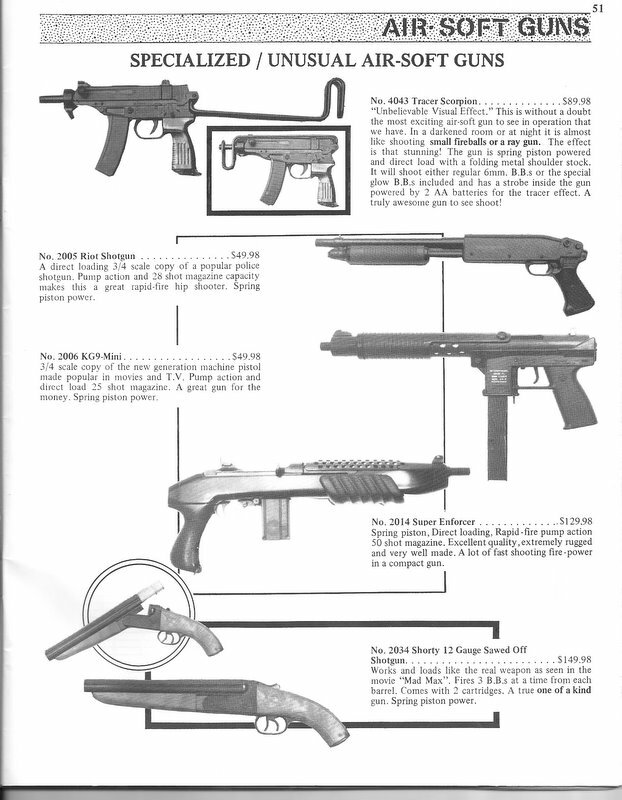 And you thought the "Gat" was new for 2010, think again. yes, there were paint bb's in 1987, and they sucked then too. 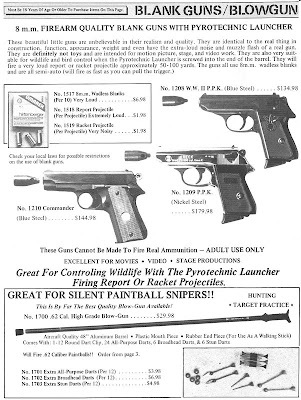 Oh ya, GET OFF MY LAWN.